The MEP2684 Tandem Axle 8’ x 4’ Plant trailer is built to last, with a heavy duty drawbar arrangement incorporating a raised bucket rest, with a Forged 40mm Eye Coupling as Standard. A Cast Locking 50mm Ball Coupling is also available, as a no cost option. 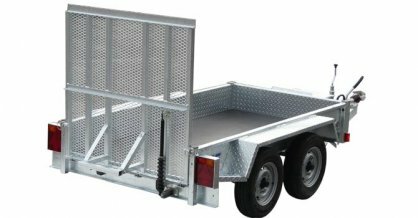 Our Trailers are all Hot Dip Galvanised to the highest quality, with a fully welded heavy duty chequer plate body.